James D. Surdo Jr., long time president of the Chelsea Gun Club of New York, and member of the board of Directors of the Federation of New York State Rifle & Pistol Clubs, Inc., died Oct. 7 after a long illness. He was 70. Surdo led the Chelsea Club for many years, helping numerous New York City residents navigate the Byzantine gun licensing process, and introducing them to the shooting sports. 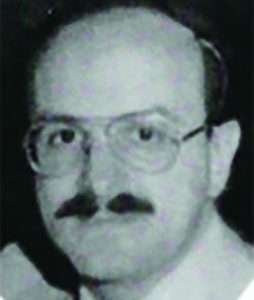 In his work with the Federation, Surdo edited the organization’s newspaper as well as assisting with public relations and media. Among other political achievements, the Federation successfully blocked anti-gun legislation in the New York City Council during the 1980s, and Surdo was key in organizing gun owners in those efforts. He was a regular attendee at all major National Rifle Association functions, including all Annual Meetings. In addition to his pro-gun work, Surdo served as a Deputy US Marshal, and for the past 20 years was the Evidence Control Specialist at the 68th Police Precinct in Brooklyn, NY. Surdo never missed a single day of work at the precinct, even after he began suffering from a life-threatening illness. For that service, Police Commissioner James O’Neill presented the Cop of the Month award to Surdo during September 2018, an award very rarely given to anyone who is not a police officer. Surdo’s visitations were attended by numerous police and other public officials, and his funeral procession was the same as accorded high-ranking NYPD officers. He is survived by his wife, Elena, and sister Antoinette.